I want this coat. I've been planning to make a green coat like this for several years now. I have the wool but need to finish the pattern...and it's not going to happen for this winter. Hopefully I can work on making it over the summer. I did try to order this very coat - it was horrible! It's made of a cotton/poly blend and was the cheapest thing that I had ever seen. I have shirts that are heavier than that coat was! I don't know how they got it to look this good in the photo shoot. It was cheaper than K-mart clothing. Fortunately, I was able to send it back. Just had to share these pictures of a lovely coat. Beautiful color, beautiful style. Oh, little green coat, I will make you someday. 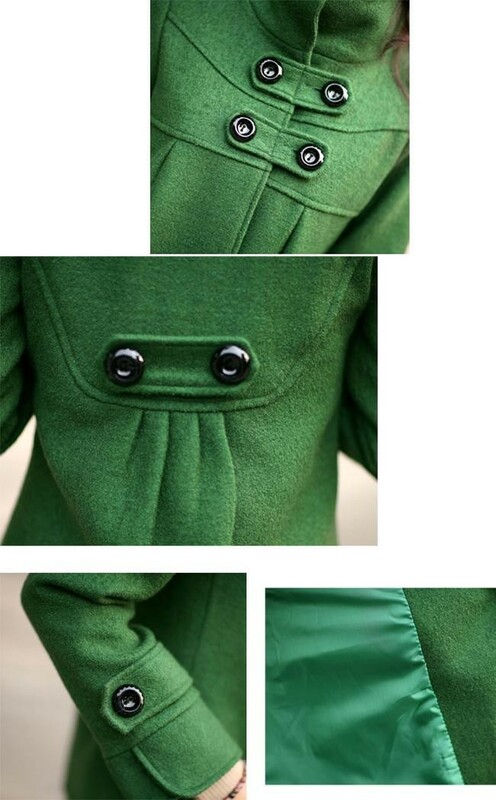 I love green wool coats. It started with the glimpse of a green wool coat in "The Devil Wears Prada"...I look forward to seeing your creation. Oh! Wow, thank you for posting this! Straight to pinterest.